The source of 22 Artesian Water lies in the heart of Sierra de Cameros in the La Rioja area of northern Spain. From a depth of more then 1600 ft (550 m) the artesian spring emerges underneath a magnificent mountain called Peñaseto, and all the surroundings are forbidding any kind of human or industrial activities, assuring the quality of this artesian aquifer. 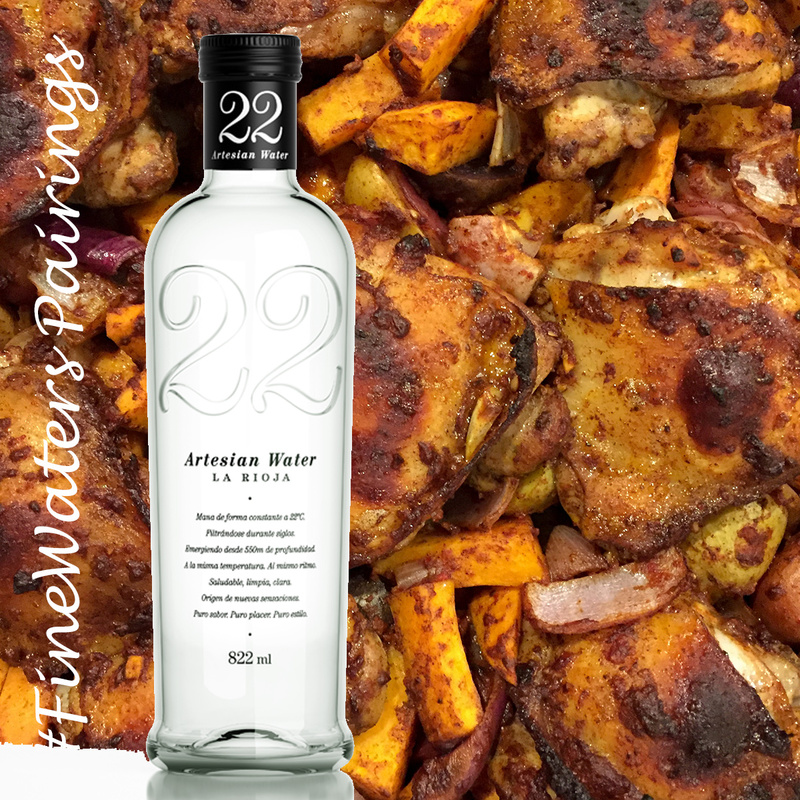 Due to the geological strata, the depth of the source and a very slow absorption process spanning about 150 years 22 Artesian Water has a very distinct terroir. The source has a flow unchanged by seasons and the water emerges at a constant temperature of 73º F (22º C). The source was well known by the Goths, but the first hand-written document was dated the 7th of July of 1029, where in her will, Lady Onneca handed over Torrecilla territories and their baths to the King Sancho II. In 1859, Dr. Ildefonso Zubia e Icazuriaga, Head of Department of Physics, Chemistry and Natural History, analyzed the properties of this now famous mineral water. In 1861 the water was declared minero-medicinal and a spa was built there to perform therapeutic treatments. There were also little ceramic bottles of the water sold in many chemist stores throughout the kingdom emphasizing the healing properties of the waters. 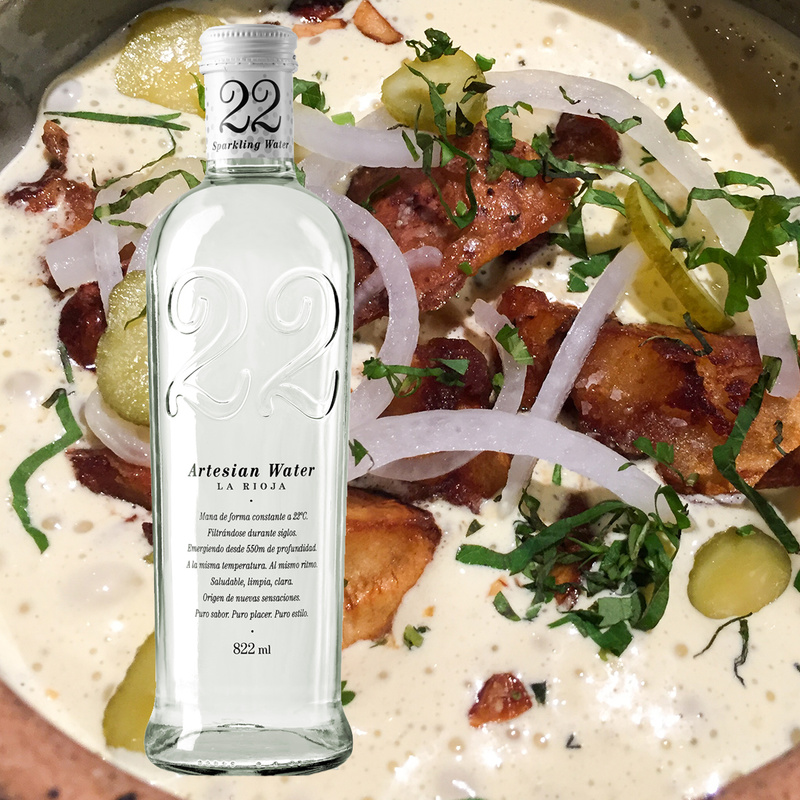 22 Artesian Water is now available in a stylish new glass presentation. 22 ARTESIAN WATER from Vantguard on Vimeo. This amazing dish by chef Bryce of Barley Swine in Austin, TX consists of potatoes, cooked in pork fat, grilled, than broken and deep-fried. They’re served with pickled cucumbers, peanut ranch sauce made with peanut yogurt, savory vinaigrette, and beer cooked peanuts. A medium bodied water with some light carbonation like 22 Artesian Water would be my choice.